"Giving people proper shelter won’t end wars, but it can help escape them, both physically and psychologically." Max Girardeau, a Year Here fellow, reports on a Swedish social enterprise that is revolutionising shelter provision in refugee camps all over the world. As we enter 2016 record numbers of refugees are escaping their home countries and arriving on European shores. The image of the drowned Syrian boy that covered national newspapers in the UK over the summer won’t be easily forgotten – it awakened many to the real risks refugees are willing to go through to escape their homelands. A recent trip to the ‘Jungle’ camp in Calais revealed the reality of life as a refugee. The camp is a minefield of erratically placed tents and piles of rubbish. Narrow mud paths zigzag their way across the camp and, after the weekend’s torrential rain, prove difficult to navigate even for those with all their wits about them. During the two days I spent there I met a young Iraqi man trying to claim asylum in the UK. He has a law degree from one of the most prestigious universities in Iraq and speaks excellent English. He is also completely blind. It soon becomes apparent he won’t be leaving the camp any time soon. The law states he can only seek asylum in the UK once already there. However, he is unable to make it across the border without a valid passport and visa, neither of which he can obtain. Speaking with the blind man is a stark reminder that the camp is not a place one should have to call home. Such hardship goes far beyond Calais. Worldwide, an estimated 3.5 million refugees are living in UN-provided tents. The tents offer little comfort or warmth and, due to the escalating number of refugees living in camps, become unbearably over-crowded. While a tent might be suitable for a short camping trip or a music festival, they’re far from the ideal solution to a permanent home. That’s why the social enterprise Better Shelter, inspired by the furniture giant IKEA’s flat pack designs, have invented an alternative that’s revolutionising the lives of refugees worldwide. The idea emerged out of a design project run by industrial designers and engineers in Sweden. They decided to contact the IKEA Foundation and subsequently secured enough funding to get the project off the ground. At roughly the same time UNHCR, the UN’s refugee agency, contacted the IKEA Foundation to see if they knew of any good shelter projects. The foundation connected the two and in 2010 a partnership between the three organisations was formed. After Better Shelter’s release in March, Tech Insider listed it as one of the most exciting innovations of this year. 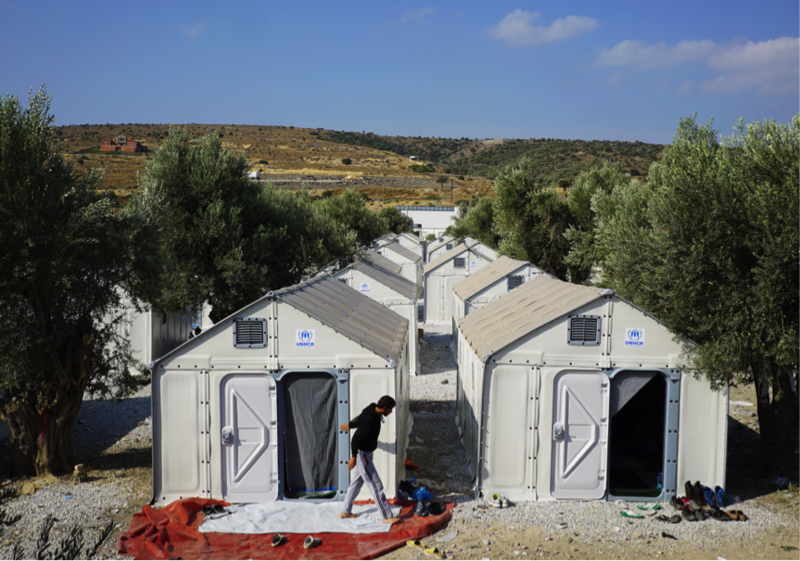 Since then, the Swedish social enterprise has shipped 12,000 shelters to refugee camps worldwide and is producing them at maximum capacity (2,500 shelters a month). These temporary houses have an expected lifespan six times that of standard tents and at 17.5 square meters are much more spacious. They come flat packed in two cardboard boxes, can be built in a matter of hours by a team of four and are fitted with solar panels, lights, a USB charger, mosquito nets, ventilation, windows, and a door that can be locked from the inside. “Security is a big problem in large refugee camps, especially for women and children. It’s important women have the safety and privacy to breastfeed,” says Märta Terne from Better Shelter. The average length of stay in a UNHCR camp is 17 years making it life-changing when “the level of comfort, safety and dignity is a lot higher than in a tent," she adds. The tents' modular nature also makes them extremely adaptable and durable. Constructed out of a series of panels, it’s possible to choose where to put the door and windows. What’s more, if one panel were to break you only have to order a new part, unlike with a tent where the whole thing would have to be replaced. 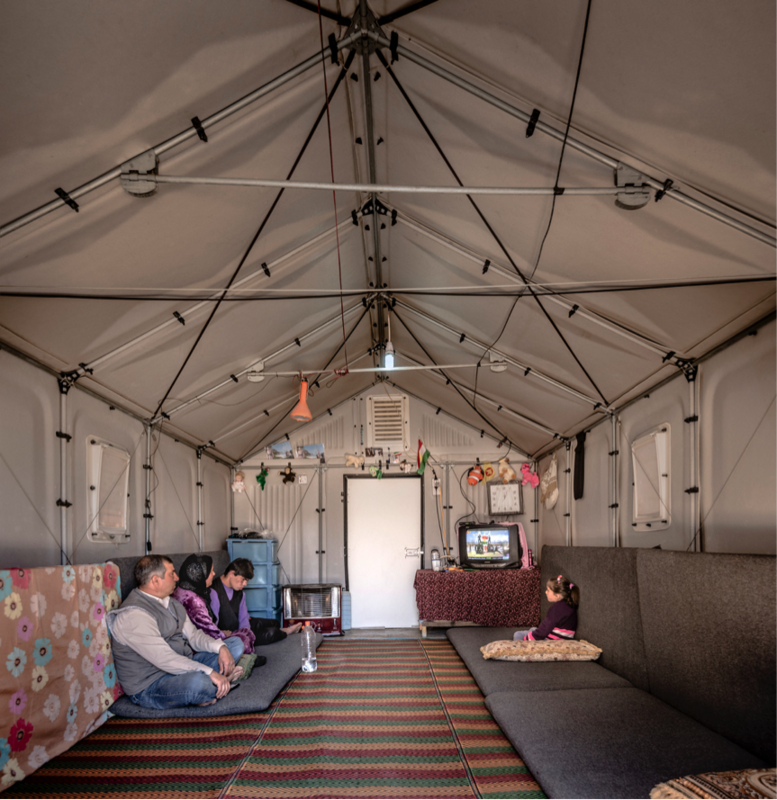 Early prototype testing with refugee families in Iraq and Ethiopia developed the shelter design to account for the varied needs of those inhabiting them. The feedback since the launch this year has been excellent, Terne reaffirms. The steel frames that form the shelter’s skeleton can be attached to one another to make larger structures. This adaptability has seen them turned into x-ray clinics, primary healthcare centres, used for childbirth, and even into classrooms. The design team has also proven it’s possible to use local materials such as corrugated iron sheets or bamboo instead of the panels. At $1,250 each (£850) the shelters are roughly three times more expensive than their biggest rival – the tent. Although initially pricier, their extended lifespan should make them cheaper in the long run. Their flat pack design makes shipping them to camps globally cost-effective too. How big an impact will they really have? According to UNHCR there are nearly 60 million displaced refugees across the globe, of which roughly 3.5 million live in temporary transit camps. That’s a lot of people in need of shelter. These camps remain closed off from the outside world, preventing their inhabitants from integrating into the wider community. Of course, turning camps into long-term living spaces is far from the ideal solution; but we have to be realistic. Refugee camps all across the globe are here to stay, that much is clear. Hundreds of people arrive in these camps each day and, while our focus must be on tackling the root causes, we must also look at what can be done to help those at immediate risk. As human beings we have a basic right to be treated with respect and dignity, this becomes even more essential when faced with such adversity. Giving people proper shelter won’t end wars, but it can help escape them, both physically and psychologically.